It’s comic book day and you would think that the War of the Realms storyline would be the best comic this week, but it was really Buffy the Vampire Slay #4. Poor Xander, he did not get a good deal this time around in this retelling of Buffy’s early Sunnydale days. Also this week we have bromantic partners Cyclops and Wolverine taking on a new Brotherhood of Evil Mutants led by a fake Magneto that we have seen before. Check out my thoughts in this comic load video! It’s comic book day! Rainbow Brite continues to recruit her gang of Color Guard in Rainbow Brite #5. The X-Universe has two different continuities taking place because of Nate Grey. There’s the DC Universe with Justice League #20 having the heroes meeting their 6th Dimension counterparts. Also in Venom, Eddie is dealing with the fact that he’s a daddy. Check out my thoughts on this comic load Wednesday! It is the conclusion to the X-Men Disassembled storyline with Nate Grey aka X-Man, joined with Legion taking on ALL of the X-Men at once. Will he win or will the X-Men stop him? (Hint, there’s an entire storyline coming up called Age of X-MAN). It’s a huge comic load this week. A couple of duds but also a couple of good issues made the cut. What’s your comic load look like? It’s Comic Book day! Heroes In Crisis #3 – Who killed all of the superheroes in the Sanctuary? In Action Comics #1005, we find out the identity of Red Cloud. Darth Vader #24 – Vader vs Momin. Batman Beyond #26 – The Joker takes on Barbara Gordon and sets his sites elsewhere in the Batfamily. Fantastic Four #4 – The Introduction of the Fantastix! 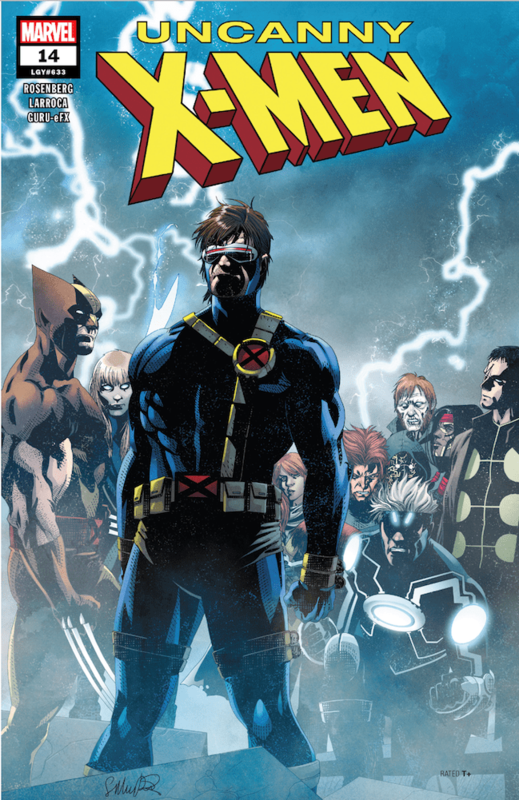 Uncanny X-Men #3 – The return of Legion. Is he a good guy or a bad guy this time around? What’s your comic load look like?